***** Brooklyn Boys Pizza & Pasta, 9967 Glades Road, Boca Raton Florida 33434–(561) 477-3663. My wife and I just moved into Boca’s Century Village. We are looking for a really good pizza place where we can buy ‘real’ NY slices from the counter. We are both in our mid-sixties and lived in Bayside, Queens for our entire lives. 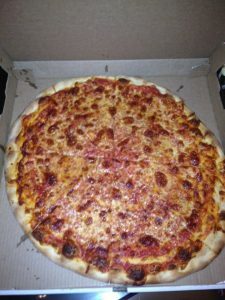 Jeff Eats got the perfect joint for you guys, Brooklyn Boys Pizza & Pasta and it’s a 5 minute drive from your new home! 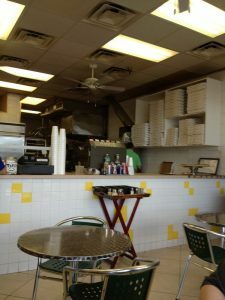 Just had- 2 slices and a Coke at Brooklyn Boys Pizza & Pasta in Boca Raton- and I’m kinda feeling a bit “homesick” or maybe “nostalgic” is a better word- for Brooklyn 1950-1960! Anyway, just between you guys and Jeff Eats, this Brooklyn Boys Pizza joint makes one of the best NY STYLE PIZZAS in all of South Florida. Not too crazy about its pastas, subs and other stuff- but its pizza is off the chart dynamite!- Just so there is no misunderstanding, on the pastas/subs/other stuff “crack”- nothing terrible or nothing, but I wouldn’t be running to Brooklyn Boys, capice! 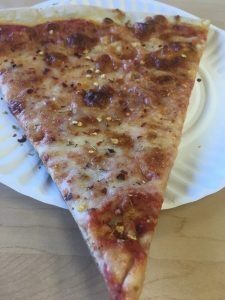 Jeff Eats has been eating slices/pies at Brooklyn Boys Pizza & Pasta for years-and I gotta tell you that this hole in the wall-is as close to “being like” the 50s-60s pizza joints I grew-up on in Brooklyn as any joint I’ve been to down here in Florida! For you guys who may-be feeling a little homesick, nostalgic or just looking for a great slice…GO! I promise you- you won’t be disappointed! An absolute hole in the wall. Other food is just passable. Been getting pizza from there for years.